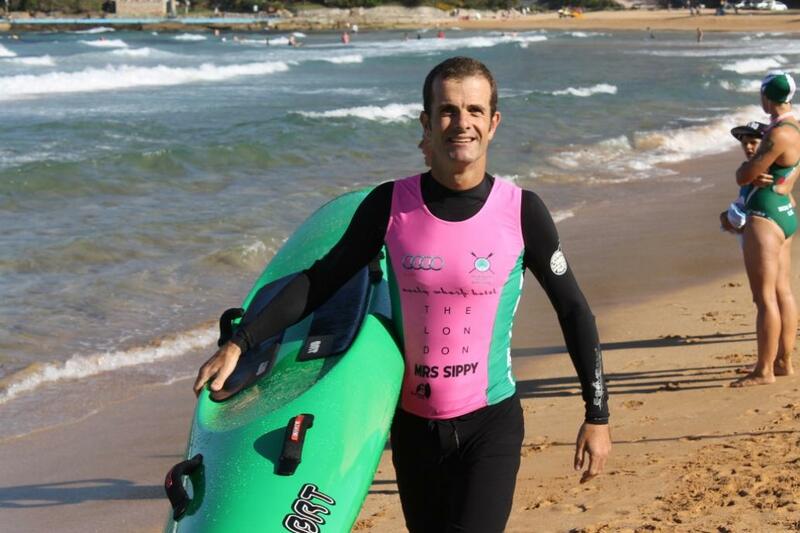 Adrian Curlewis Twilight Masters - a good fun event named for the 'father of surf life saving'. 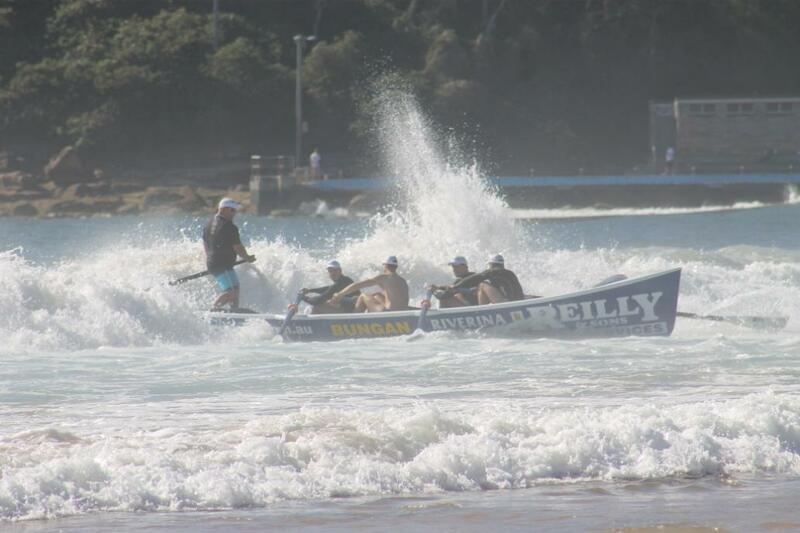 Palm Beach SLSC's Open Carnival - Boat races, 5th of January, 2013. 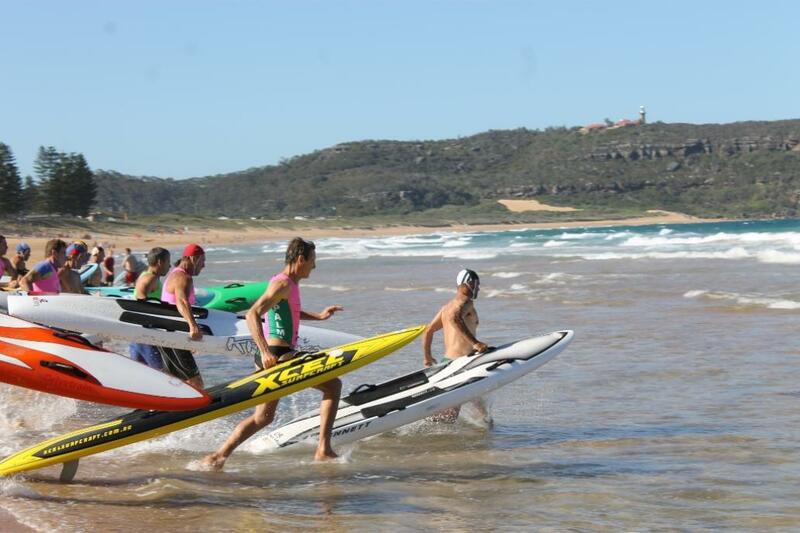 Brilliant sunshine on Friday and all day Saturday made being on Palm Beach the stuff a Pittwater Summer is made of. 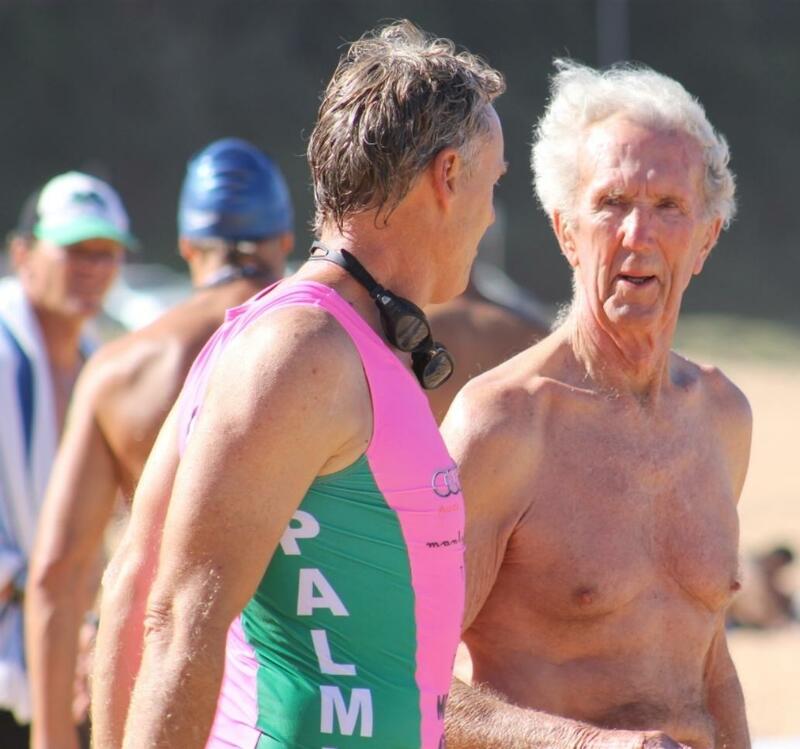 Hosts Palm Beach SLSC ran their fourth Adrian Curlewis Twilight Masters on Friday afternoon, named in honour of one the club's founders and the gent considered 'the father of surf life saving' in Australia, Sir Adrian Curlewis. 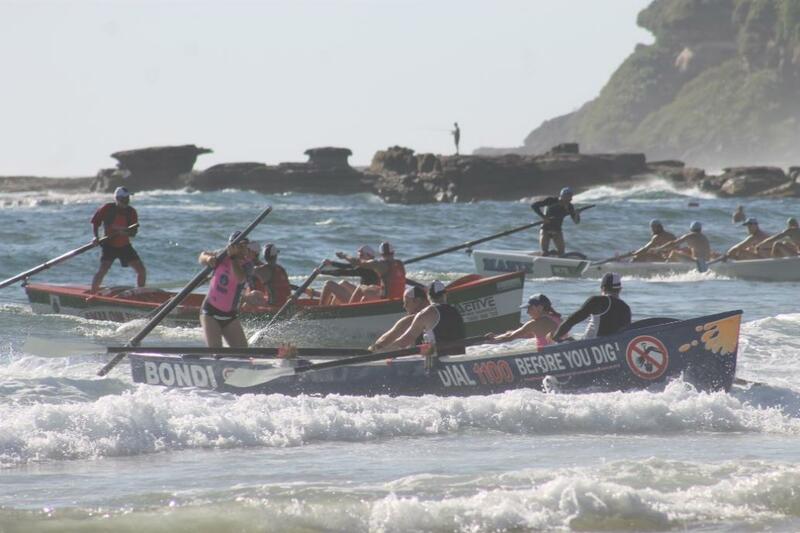 This fun event, where there is as much laughter as there is trying to overtake fellow competitors, attracted 144 competitors this year, an increase of over 20% on last year, from clubs on the north and south sides of Sydney. 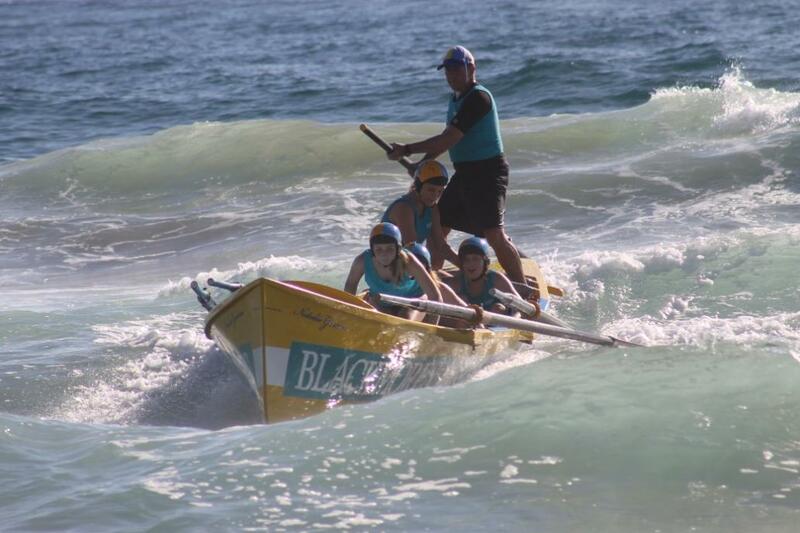 Maroubra and North Bondi were joint winners this year with the Palm Beach members doing well with their Oxies coming second in their division. 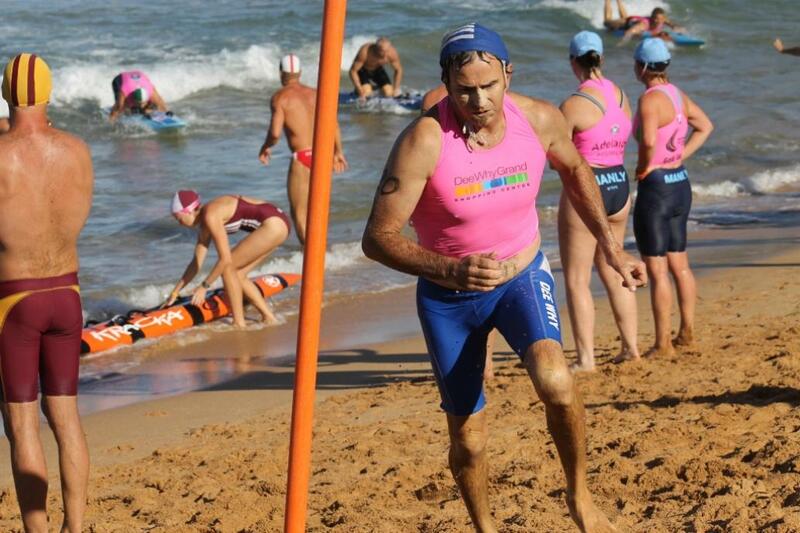 Organiser and club stalwart Gordon Lang, who runs and swims and skis just as fast as the best of them, was also on the beach on Saturday; one of hundreds of Palm Beach SLSC members ensuring all ran smoothly for the Open Carnival. 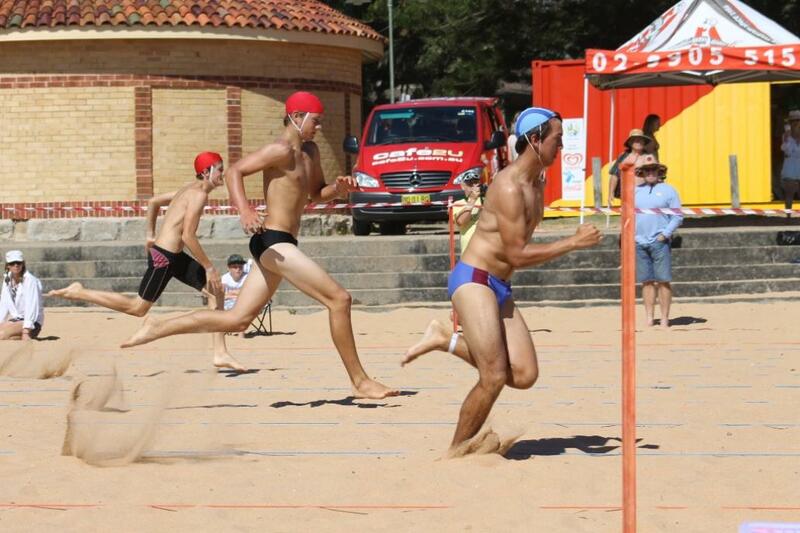 The Palm Beach SLSC Open Carnival attracted 1200 competitors this year from Sydney and beaches further north. 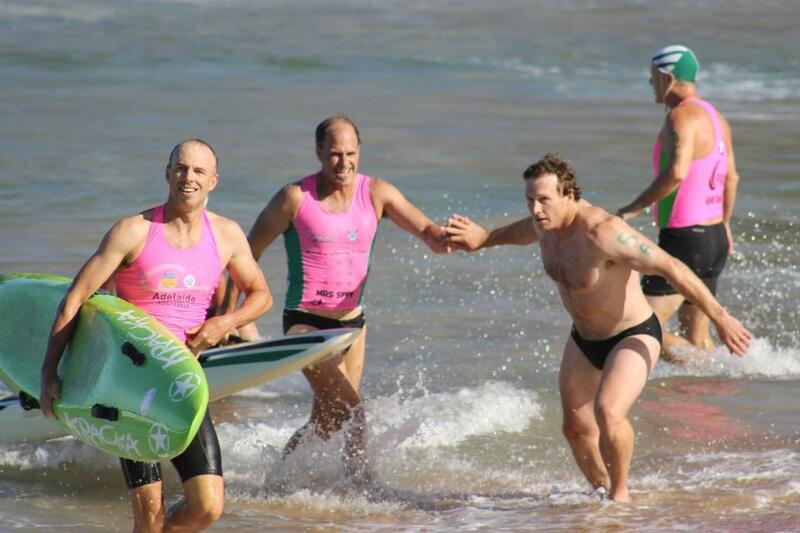 The classic boat races, beach sprints, ironwomen and men events, among many others, all have a focus on this being a friendly carnival, a celebration of surf life saving people young, middling and getting a bit older. The Pacific Club hosted all afterwards with great live music. 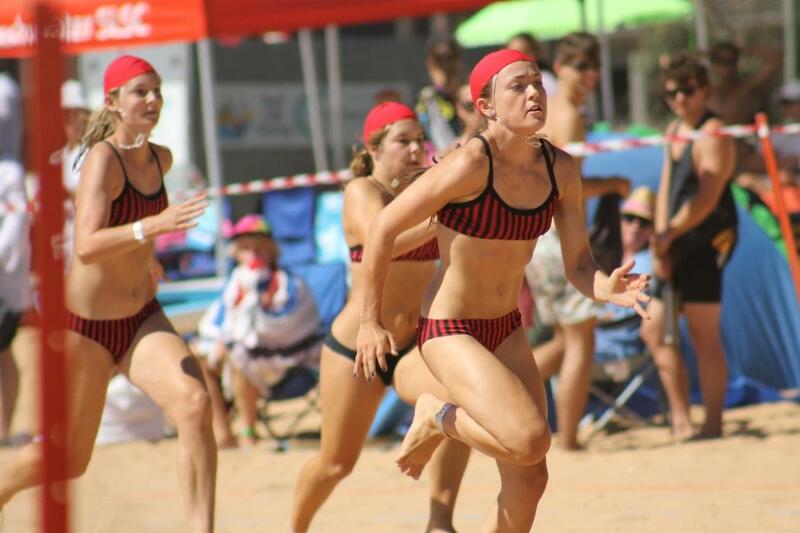 Starting the year with a carnival that caters for Under 13s to Masters and Boats was the aim of the Palm Beach Surf Life Saving Club and they succeeded. On Friday afternoon teams from surf life saving clubs from the southern beaches of Sydney and all points north gathered to celebrate the 4th annual Adrian Curlewis Twilight Masters, named for a gent, and a whole family in our experience, who have done much to ensure the legacy of Surf Life Saving and doing and giving to others takes precedence before self. 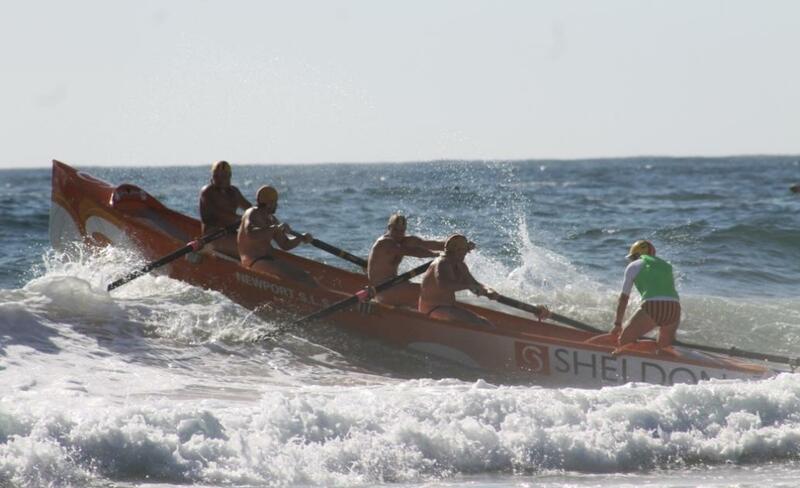 On the Saturday 1200 members of every surf life saving club in Pittwater along with Warringah and Manly clubs hosted more of Sydney’s southern beaches club members and surf life savers as far north as Cave’s Beach. 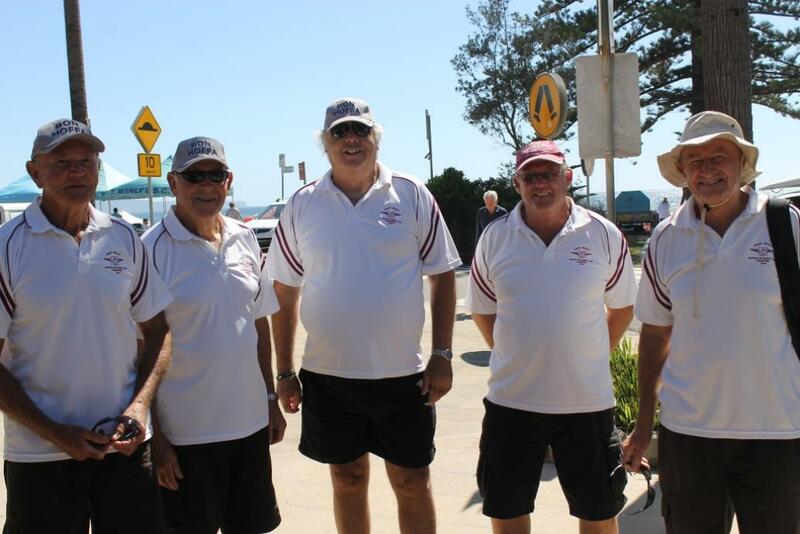 Here too, along with an obvious enjoyment and camaraderie, doing for others by maintaining an essential Australian spirit of fellowship was clearly evident as a rich inheritance. 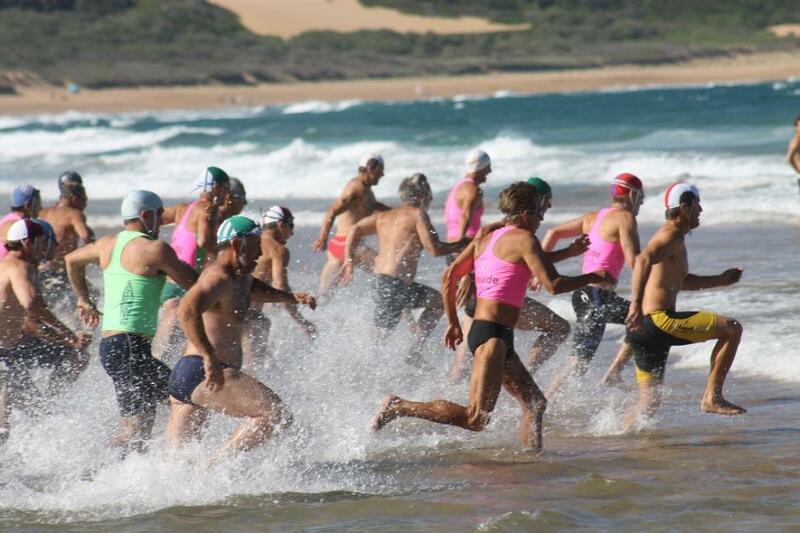 Events included a traditional Marchpast, swims, 4 kilometre runs, beach sprints, relays, ski, boat and board events that ran from 7am onwards. 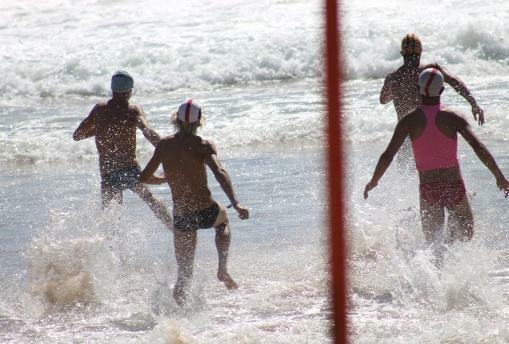 Palm Beach Surf Life Saving Club members were everywhere; ‘there’s lots of PB folk on’ as in ‘on duty’ on SLSC announcer stated. 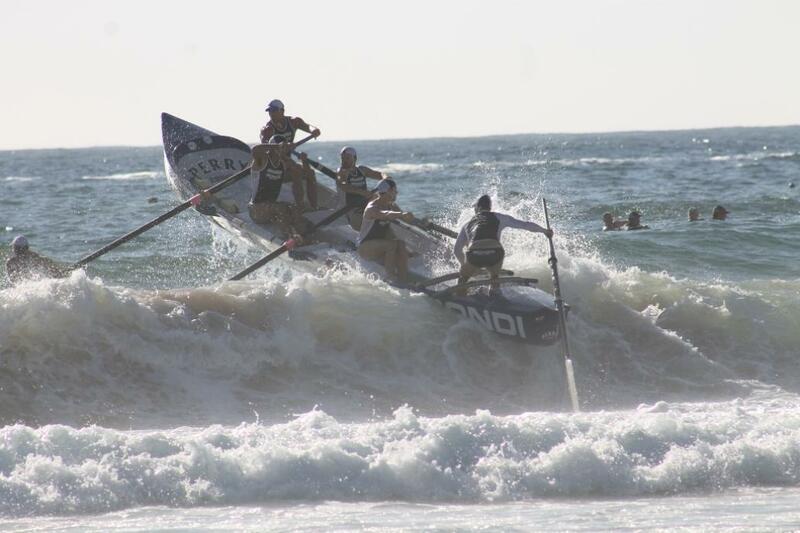 A shark spotted, as they have been frequently this Summer along all beaches in Sydney, kept competitors out of the water and brought a helicopter overhead until this ‘Noah’s Ark’ had moved on. 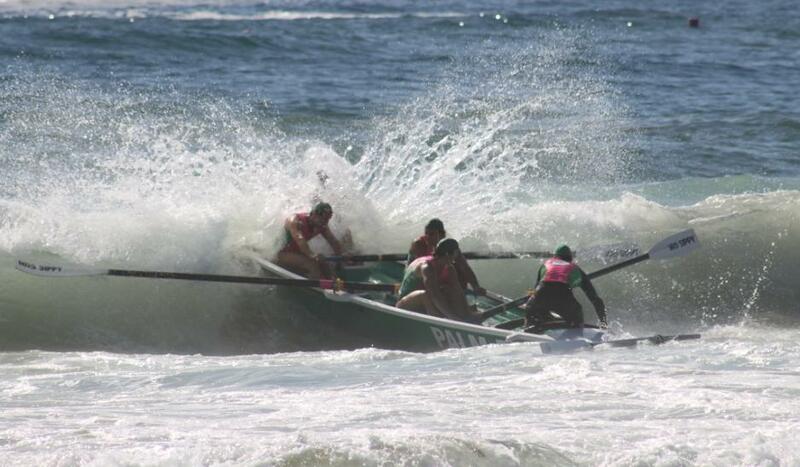 Dumping waves on an inshore sandbank upset a few boats and their crews; some jumping straight back in again and completing their heat knowing they will still gain points this way even if finishing last. 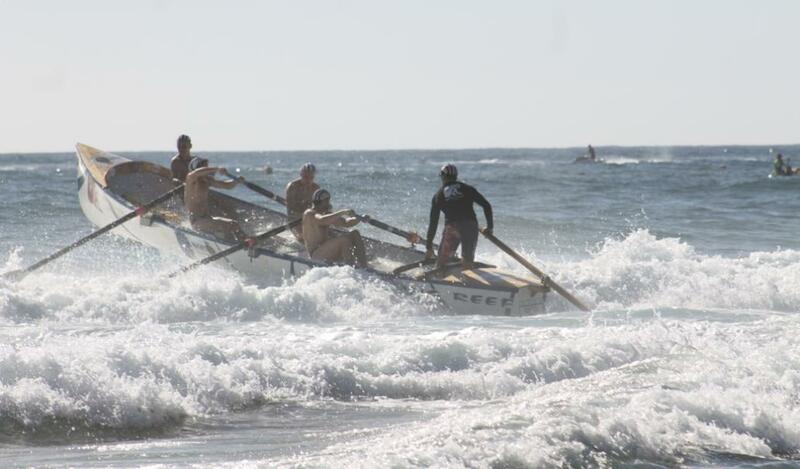 Other sweeps and rowers negotiated the tide and dumpers skilfully. On the beach trainers coached crews, telling them they’re doing well and to be patient, watch the water, and that it ‘takes time to get used to a particular beach’. 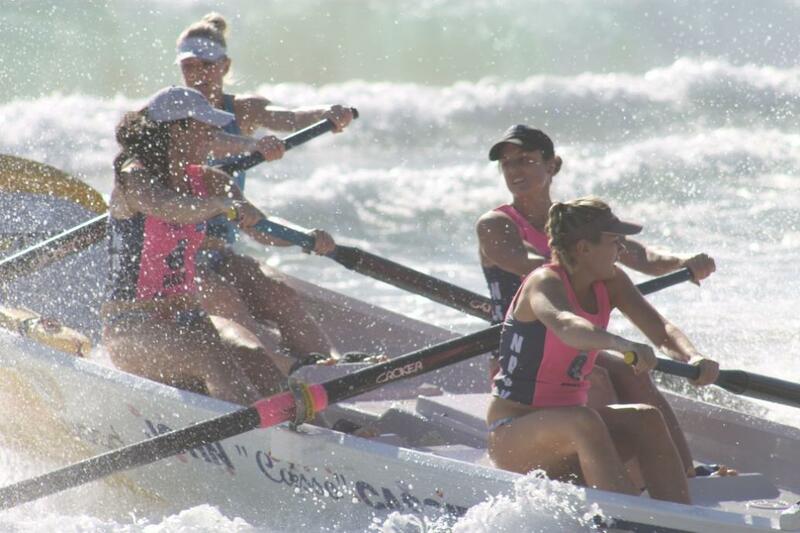 It was a great day, a credit not only to PBSLSC but all who participated, all those who supported them and all the officials who worked tirelessly to keep a smooth flow of hundreds of heats and races. All carnival results will be available on the website on the first working day after the carnival takes place and listed on this page. 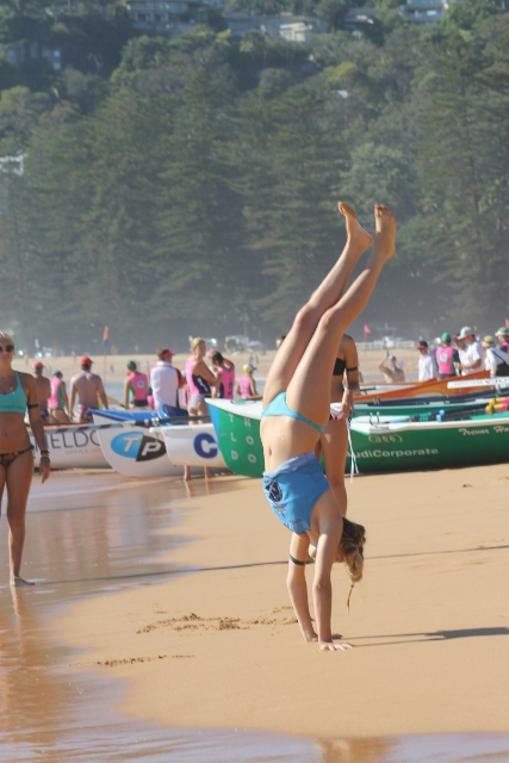 For results of carnivals outside the Sydney Northern Beaches branch, please check with the appropriate branch or state body. 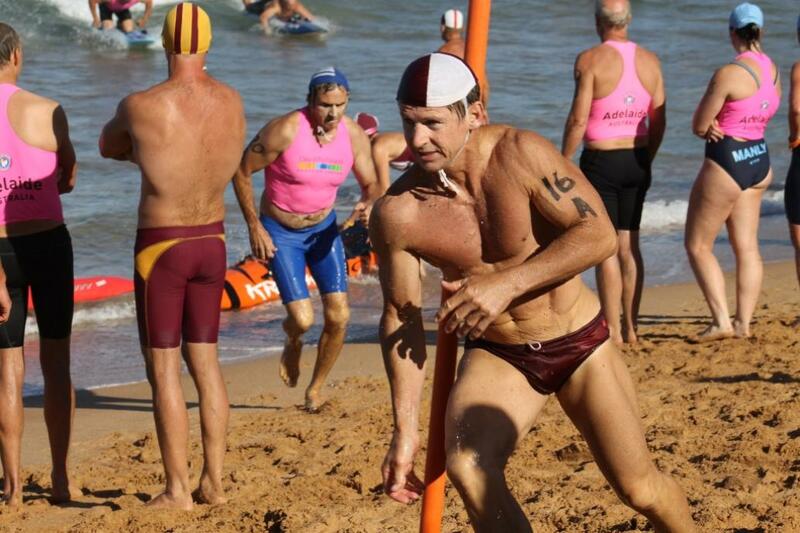 Ian Curlewis (on right), son of Adrian Curlewis, opens the Twilight Masters by commencing the swim race. 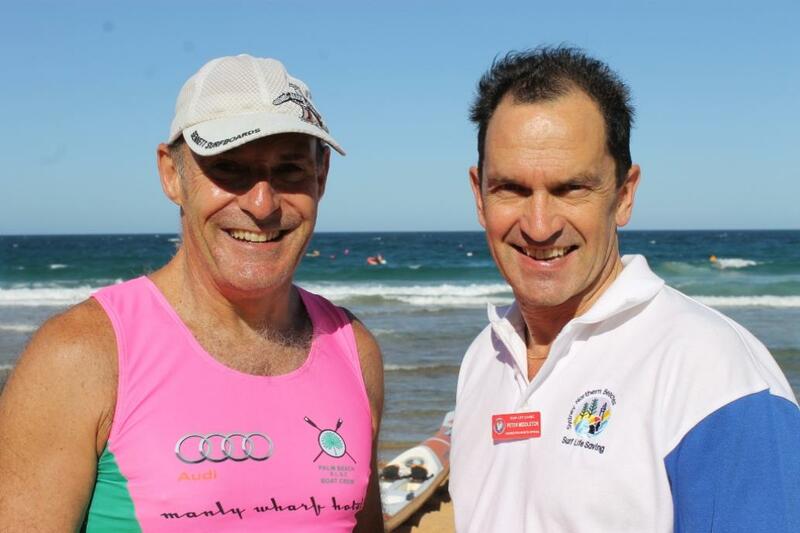 Gordon Lang, Masters Captain and organiser of the Adrian Curlewis Twilight Masters and Peter Middleton, both of PBSLSC. 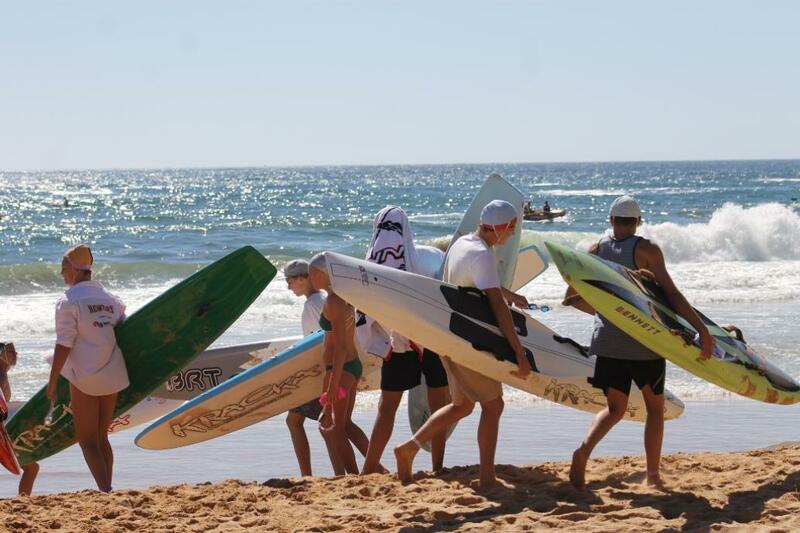 Cave's Beach SLSC Masters arriving for March-past.